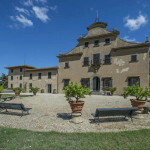 This Impruneta real estate consists of a traditional Tuscan villa, annexes, olive grove and land. The buildings are in good structural condition but would benefit from updating and renovation. 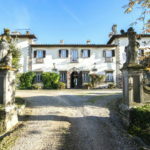 In a quiet rural area less than half an hour from Florence and two minutes from Impruneta, villa dating back to 1800, with dependances and surrounding land. The villa has a total surface of 240 square metres and is disposed on two levels, composed as follows. Ground floor: entrance from the porch and small cloister, large living room, kitchen, bathroom, office. First floor: four bedrooms, gallery, bathroom, terrace. 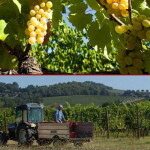 The old stone dependance has a total surface of 180 square metres and is disposed on two levels, as follows. Ground floor: garage, cellar and storage room. First floor: kitchen, living room, bedroom and bathroom. 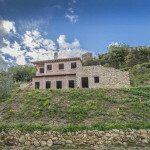 FEATURES Fireplace, terrace, decorated ceilings, ceilings with wooden beams, terracotta flooring , original doors.